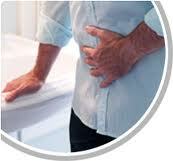 If you have Crohn’s disease it is very likely that you can get a life insurance policy. Even if you have been declined before, it could be because the agent or insurance company you worked with was not the right fit for you. 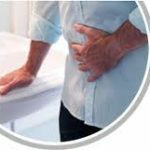 Not every insurance company offers life insurance with crohn's disease or wants to insure people with pre-existing conditions; and working with the right company can make the difference between being approved or declined for coverage. Life insurance is one of the best investments that you’ll ever make for your family members. It’s one of the few ways that you can ensure that your loved ones have the money that they need, even if something tragic were to happen to you. This article is going to look at the different ways that you can lower your rates and ensure that you have the perfect plan for you. How Do You Know Which Insurance Company to Work With? At Chooseterm.com we have experience helping people with Crohn’s disease in obtaining life insurance. We know which companies are more aggressive in insuring people with this condition. Here is a list of questions we will be asking you to understand your situation and match you up with the right insurance company. 1) Date of diagnosis and date of most recent episode. 1) Have you ever been hospitalized for Crohn’s disease: If yes what dates? 2) Has surgery been recommended? If so when will it be completed? 4) Have you ever been disabled due to the condition? 5) Do you have any other medical conditions? If you have had a limited number of episodes and live a healthy lifestyle, it is possible that you can get a Standard health rating. (for more information on health ratings, read our blog post about life insurance health ratings). If you have had more than a few episodes, but your Crohn’s is mild and controlled with treatment, it is more likely that you will see a substandard rating between 2-4. More severe cases where surgery was required, or frequent use of steroids is necessary will likely result in a rating of 6-8. If you’ve been declined for life insurance in the past, or you’ve been rejected several times, don’t assume you can’t get life insurance. There are still several ways you can get insurance protection. One of the most common is a guaranteed acceptance life insurance. As you can guess, these plans allow you to get coverage, regardless of your health or any pre-existing conditions, like Crohn’s. With guaranteed issue policies, you won’t have to take a medical exam or answer health questions. All you have to do is give them some basic information and a payment. After that, you have life insurance. It’s as easy as that. One of the problems with these plans that you should be aware of is you’re going to be limited on how much you can buy. Most guaranteed issue plans will only allow you to buy around $25,000 worth of insurance. For most families, that won’t be nearly enough. One of the most common reasons that people don’t have life insurance is because they assume that it’s going to be way too expensive. In most cases, that couldn’t be further from the truth. In most cases, applicants are surprised to see how affordable insurance protection can be for applicants. There are several ways that you can lower your rates and keep more money in your pockets every month. One way to do that is to cut out any tobacco that you currently use. If you’re listed as a smoker or tobacco-user on your insurance application, then you’re going to be facing much higher rates for your insurance coverage. In fact, smokers are going to pay at least twice as much for their insurance protection versus what a non-smoker is going to pay for the same sized policy. If you want to save thousands of dollars every year and increase your chances of getting approved, then cutting those bad habits is one of the best ways to do that. The bottom line is that it is likely you can get life insurance with crohn's disease. Working with an independent insurance agency that has access to many insurance carriers is important because you want to find the company that will be best for you based on your situation. At ChooseTerm.com we specialize in finding the right company for you at the best possible price. Every insurance company is different, and all of them are going to offer you different rates based on their medical underwriting and experience working with high-risk applicants. Some companies are going to decline your application, while others are going to offer you affordable life insurance protection. Finding the perfect company is the difference in getting a cheap plan or one that’s going to break your bank every month. Instead of wasting hours and hours calling dozens of companies, let one of our independent insurance agents do all of the hard work for you. Unlike traditional agents, we work with dozens of highly rated companies across the nation and we can bring a personalized set of quotes directly to you. We work with the best companies for applicants with Crohn’s disease. You never know what’s going to happen tomorrow, which means that you shouldn’t wait another day to get the insurance protection that your loved ones deserve. If something tragic were to happen to you, and you didn’t have protection, then your family would be stuck with a massive amount of debt and other bills. If you have any questions about life insurance or getting coverage with Crohn’s disease, please contact one of our agents today. We would love to answer those questions and connect you with the best possible plan.